One of the most anticipated movie of 2015 Kis Kisko Pyaar Karoon starring the ace stand up comedian Kapil Sharma is all set to vow the audience, marking his big screen debut. 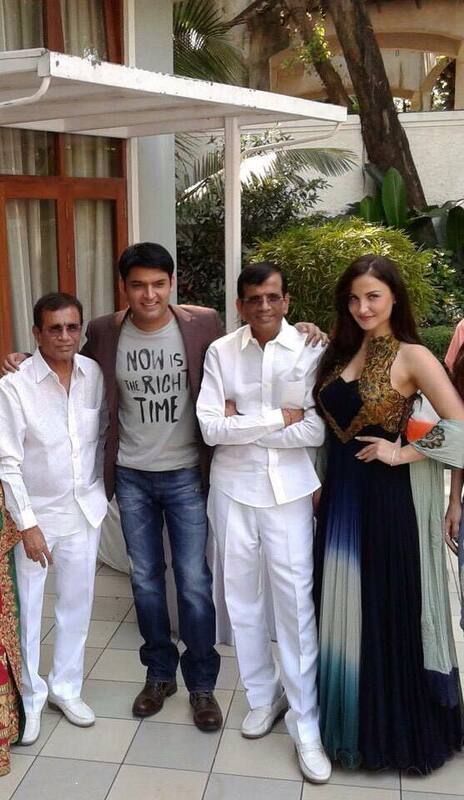 Directed by dynamic duo, Abbas- Mustan, the movie recently wrapped its Jodhpur schedule. Well, what we hear is ,that it’s been the fastest shot movie by Abbas Mustan. “The genre for most of our film has been thriller and action so far. While this time we experimented with a full-fledged comedy and it’s been an incredibly smooth experience. The whole shoot was completed in 2 months. The credit for that goes to all cast and crew, they shot for 14 hours a day and there was lot of punctuality on the set which made our job easy,” says director Abbas. The film marks the Bollywood Debut of Kapil Sharma, Sai Lokur and also stars Elli Avram, Manjari Fadnis, Simran Kaur Mundi, Varun Sharma, Sharat Saxena, Supriya Pathak, Manoj Joshi, Jamie Lever (daughter of Johnny Lever), Charli & Arbaaz Khan.